Those who wanted to take Britain out of the European Union need to make a new best friend: Mark Carney. Some of them excoriated the Bank of England chief before the June 23 referendum for warning of the economic risks of leaving. Their best bet now would be to woo him, rather than to undermine or dislodge him. The central bank is a pillar of stability at a time of huge turmoil. Britain is in uncharted waters after voting to end its four-decade membership of the European club, and is politically rudderless to boot. Both the ruling Conservatives and the opposition Labour Party are riven and focused on leadership contests. Financial markets have stabilised somewhat, but only after suffering huge losses. A record $2 trillion was wiped off global stock markets on June 24, also the day sterling suffered a historic drop against the dollar. Undermining the head of the independent BoE would most probably trigger further selling of UK assets. To be fair, Boris Johnson, a leading campaigner for Britain to leave the EU and a frontrunner to replace Prime Minister David Cameron, has already tried to mend fences. 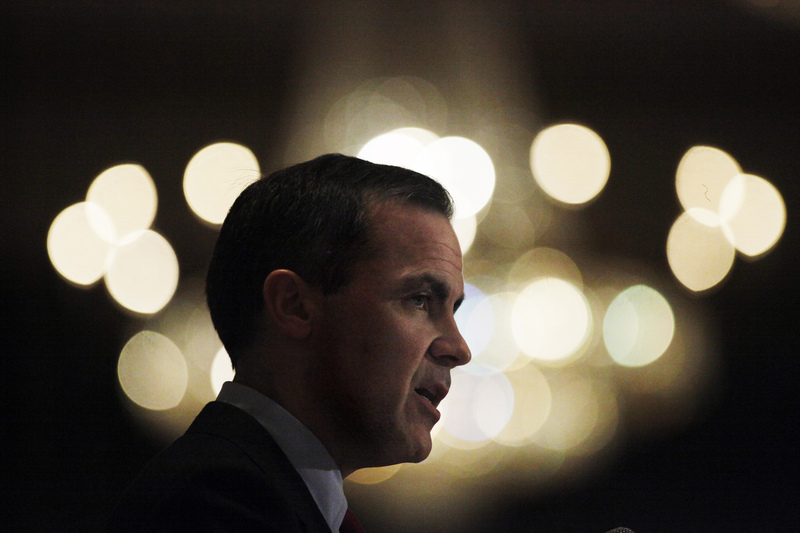 He said on June 26 Carney had done “a superb job” and that the central banker would be able to continue without coming under political fire now that the referendum was out of the way. Whether that’s true or not may determine whether the BoE boss stays beyond his tentative 2018 departure date. In December Carney left the door open to serving his full eight-year term, which technically runs until June 30, 2021, telling the Financial Times there was still much more work to do. If this was true back then, it’s true in spades now that the UK economy risks a slowdown. For example, credit ratings firm Fitch said on June 29 it was halving its UK growth forecasts, to around 1 percent for both 2017 and 2018, while a recent Reuters poll showed economists now see a 53 percent chance of a recession in the coming year. Leave campaigners who lambasted economic experts such as Carney before the vote will lean heavily on their expertise if such forecasts are anywhere near the mark. Boris Johnson, a leading campaigner for Britain to leave the European Union and a frontrunner to replace Prime Minister David Cameron, said on June 26 that Bank of England Governor Mark Carney should continue in his job. "Most sensible people can see that Bank of England Governor Mark Carney has done a superb job - and now that the referendum is over, he will be able to continue his work without being in the political firing-line," Johnson wrote in a regular column for the Daily Telegraph newspaper. Before the referendum, Jacob Rees-Mogg, a eurosceptic Conservative lawmaker, had accused Carney of venturing into politics, calling him a "creature of the government", and urged him to resign. Bank of England Governor Mark Carney said on June 24 the central bank was ready to provide 250 billion pounds of additional funds to support financial markets after Britain voted to leave the EU. He also said the central bank would consider whether to take additional policy responses in the coming weeks.